FC Barcelona’s winning run at the Palau Blaugrana in the league this season came to an end on Sunday after suffering defeat at the hands of Retabet Bilbao. In what was an even match, the Basque side came away winners due to their effectiveness from the three-point line in the final quarter. It was Vezenkov’s accuracy from distance that got Barça going early on, with the hosts taking an early lead in the first five minutes (12-9), but Bilbao managed to get ahead before the end of the quarter (20-22). There was very little separating the two sides, both in the balance of play and in terms of the scoreboard, reflected perfectly by the midway point as both sides were level at 37-37. Vezenkov was Barça’s main attacking force in the game, as the youngster managed six points early in the third. Again, Bilbao matched their hosts almost stride for stride, and the penultimate period ended with the Catalans just one point ahead. With all to play for in the final quarter, the visitors managed to break clear with some accurate throwing from the three-point line. 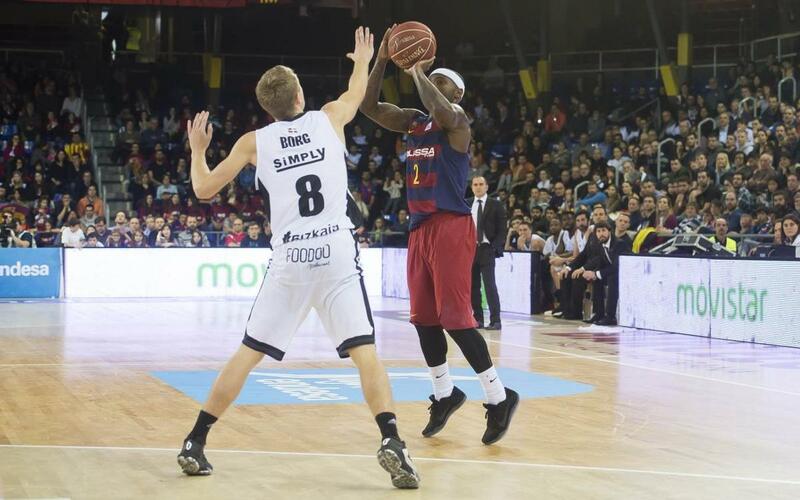 Lapornik with one and two from Tabu for Bilbao set the tone for a quarter of trebles. Five consecutive trebles from Rice (57-61, min 35), Todorovic (59-68, min 37), Vezenkov (62-68, min 37), Hervelle (62-71, min 38) and Eriksson saw the score at 65-71 with two minutes to play. But just as Barça thought they were back in business, another treble from the visitors saw them go six points ahead before a basket from Tabu killed the game.